(CBS/AP) A new study has called into question how effective mammograms are at predicting breast cancer. The study found mammograms may spot cancers far too slow-growing to ever cause a problem, resulting in "overdiagnosis" and the potential need for unnecessary chemotherapy and surgery. For years, women have been urged to get screened for breast cancer because the earlier it's found, the better chances for treatment and survival. Now researchers have found more evidence suggesting that's not always true. A study in Norway estimates that between 15 and 25 percent of breast cancers found by mammograms wouldn't have caused any problems during a woman's lifetime, but these tumors were being treated anyway, often by being surgically removed and sometimes treated with radiation or chemotherapy, because there's no certain way to figure out which ones may be dangerous and which are harmless. For the study, published in the April 3 issue of Annals of Internal Medicine, researchers analyzed nearly 40,000 breast cancer cases, including 7,793 that were detected after routine screening began. They estimated that between 1,169 and 1,948 of those women were overdiagnosed and got treatment they didn't need. "We are curing people who don't need to be cured," Dr. Otis W. Brawley, chief medical officer of the American Cancer Society, told WebMD. The researchers took advantage of the staggered decade-long introduction of a screening program in Norway, starting in 1996. That allowed them to compare the number of breast cancers in counties where screening was offered with those in areas that didn't yet have the program. Their analysis also included a decade before mammograms were offered. Under the Norway program, screening was offered every two years to women ages 50 to 69. Kalager and her colleagues looked only at invasive breast cancer. The study did not include DCIS, or ductal carcinoma in situ - an earlier stage cancer confined to a milk duct. They found that for every 2,500 women offered screening, one death from breast cancer will be prevented but six to 10 women will be overdiagnosed and treated. Study leader Dr. Mette Kalager and other experts said women need to be better informed about the possibility that mammograms can pick up cancers that will never be life-threatening when they consider getting screened. The problem? Doctors don't have a good way of knowing which tumors will be dangerous. "Once you've decided to undergo mammography screening, you also have to deal with the consequences that you might be overdiagnosed," said Kalager, a breast surgeon at Norway's Telemark Hospital and a visiting scientist at Harvard School of Public Health. "By then, I think, it's too late. You have to get treated." The problem of overdiagnosis has been long recognized with prostate cancer. "The truth is that we've exaggerated the benefits of screening and we've ignored the harms," he said. "I think we're headed to a place where we realize we need to give women a more balanced message: Mammography helps some people but it leads others to be treated unnecessarily." In an accompanying editorial published in the same issue, Dr. Joann Elmore of the University of Washington School of Medicine and Dr. Suzanne Fletcher of Harvard Medical School wrote that overdiagnosis probably occurs more often in the U.S. because American women often start annual screening at an earlier age and American radiologists are more likely to report suspicious findings than those in Europe. Radiologists could help by raising the threshold for noting abnormalities, they wrote. A "watch-and-wait" approach has been suggested instead of an immediate biopsy, but the editorial writers acknowledge that could be a "tough sell" for some women and radiologists alike. They said most women aren't aware of the possibility of overdiagnosis. "We have an ethical responsibility to alert women to this phenomenon," they wrote. 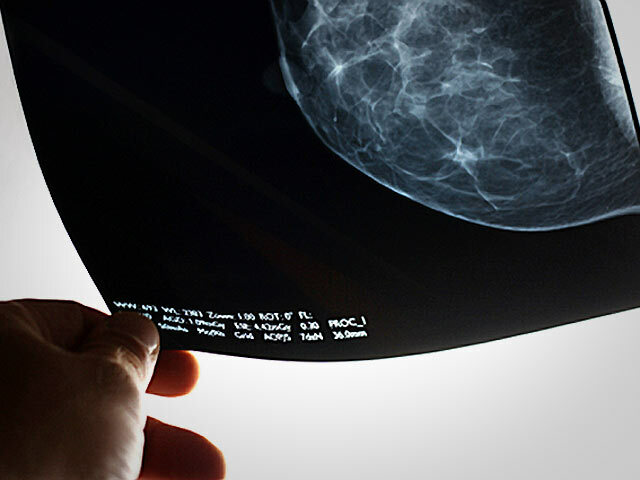 The study is the latest to explore overdiagnosis from routine mammograms - finding tumors that grow so slowly or not at all and that would not have caused symptoms or death. Previous estimates of the problem have varied. A study published in the Oct. 18 issue ofAnnals of Internal Medicinefound that more than half of women who start getting annual mammograms in their forties can expect to have a false positive, being called back in for additional screening. Of the women who are called back, about 7 percent are advised to undergo a biopsy of the breast that turns out to be negative (meaning no cancer is present). A Swedish study last summer found mammograms prevented 30 percent more breast cancer deaths compared with women who weren't screened, HealthPopreported. In 2009, the U.S. Preventive Services Task Force set off controversy when it suggested that the decision about whether to start mammography before age 50 should be based upon a variety of factors, including the patient's risk level. The American Cancer Society continues to recommend annual mammography screening for all women starting at 40.